The long awaited excursion day to visit the Seaside Farm on October 28th had finally arrived. 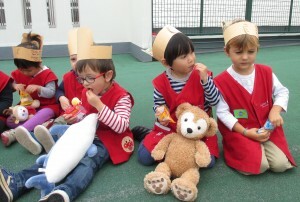 There was so much excitement in the air! 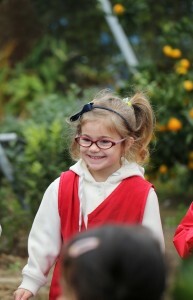 Mrs. Johnson was one of our three parent chaperones for the day. 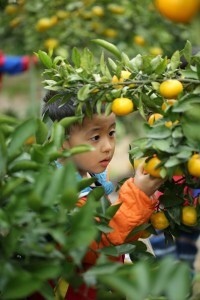 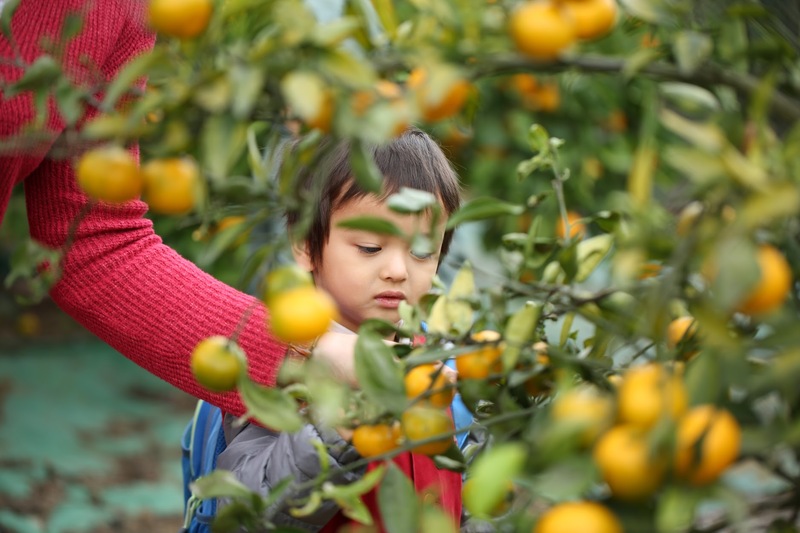 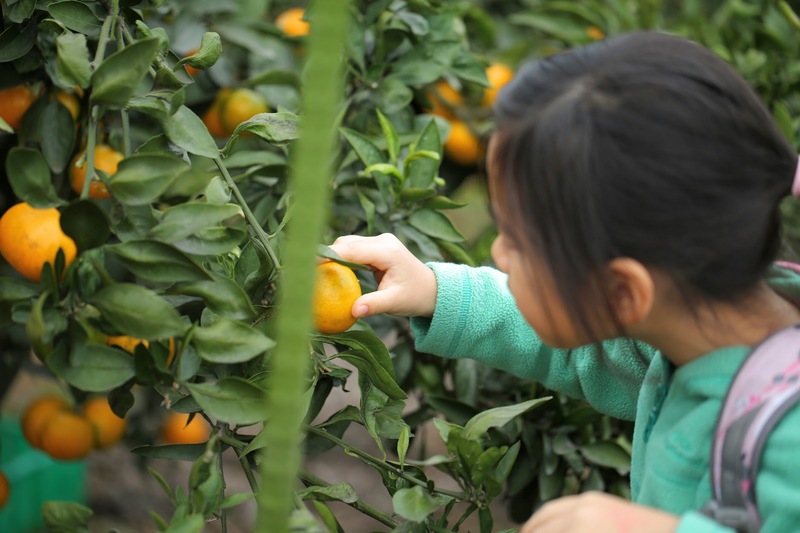 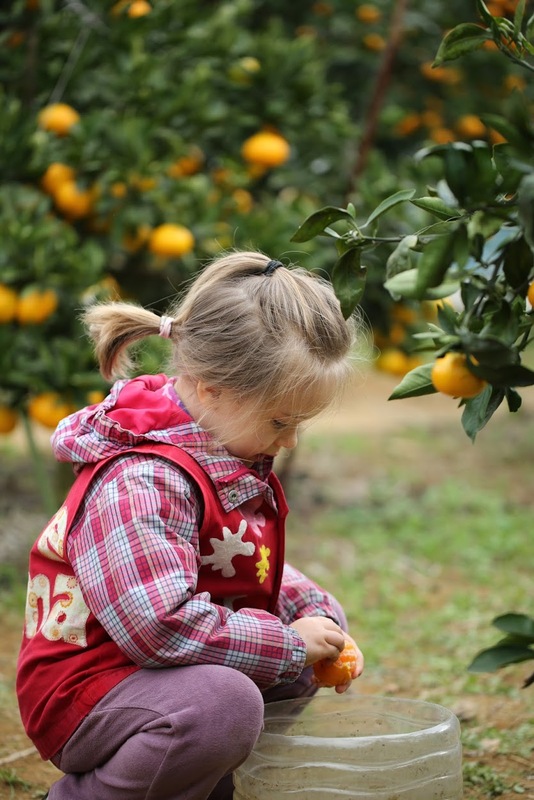 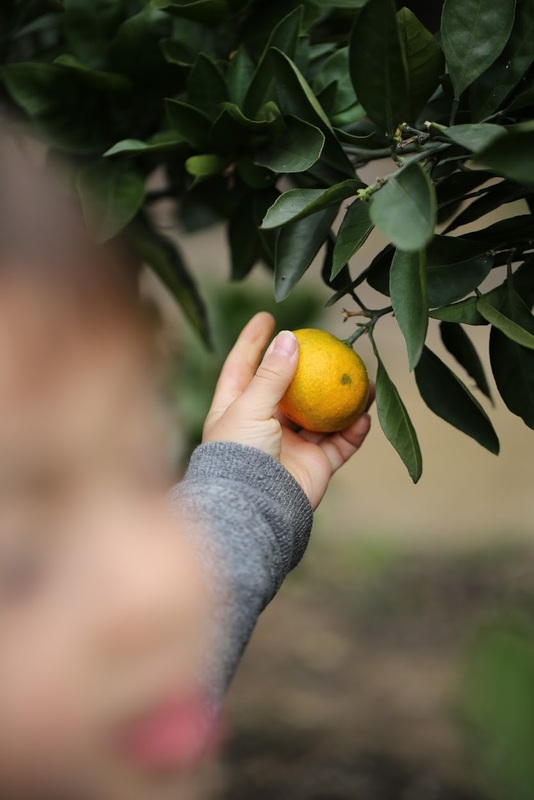 Through her camera lense she was also able to capture such natural moments of the children happily picking and eating their mandarins on the spot. 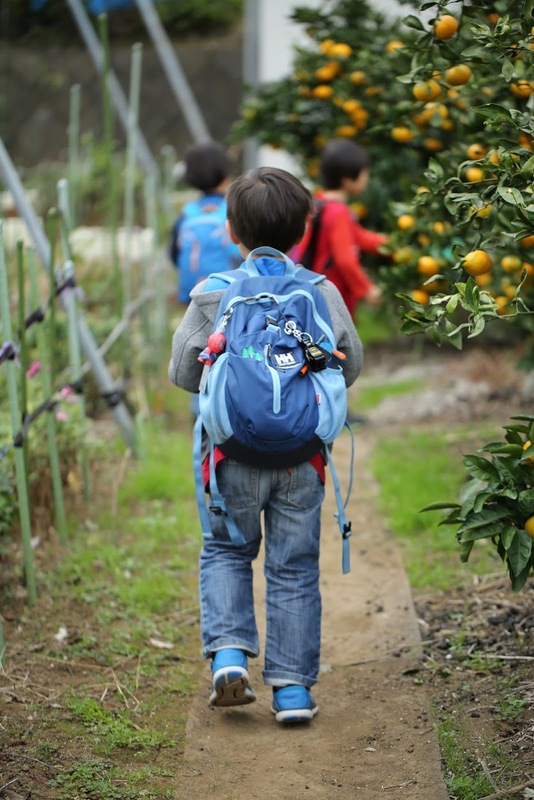 There were many children who returned to school, excitedly saying that they wanted to go again. 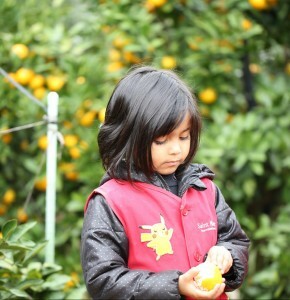 A successful excursion amongst nature! 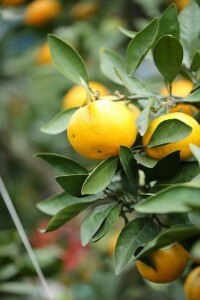 Please enjoy the photographs! 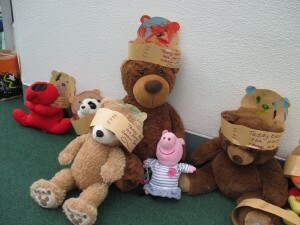 And thank you to Mrs. Johnson for sharing. 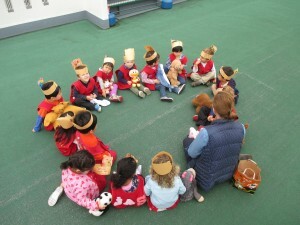 Mrs. Johnson truly captured the day and showed just how much fun the children all had together. Thank you to all our parent chaperones! 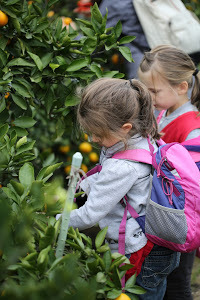 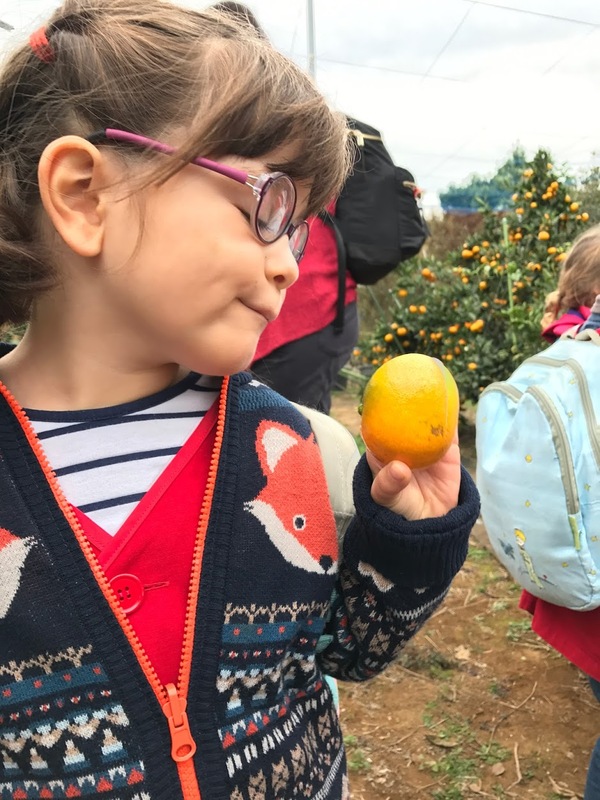 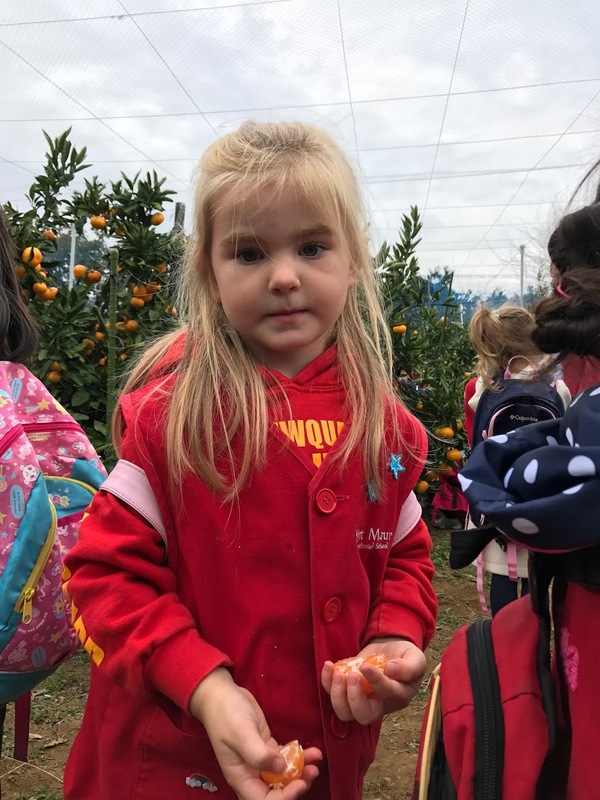 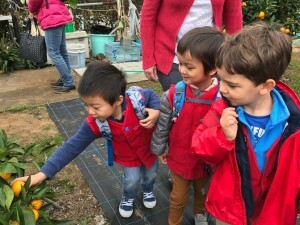 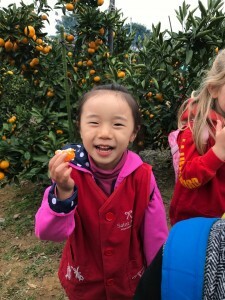 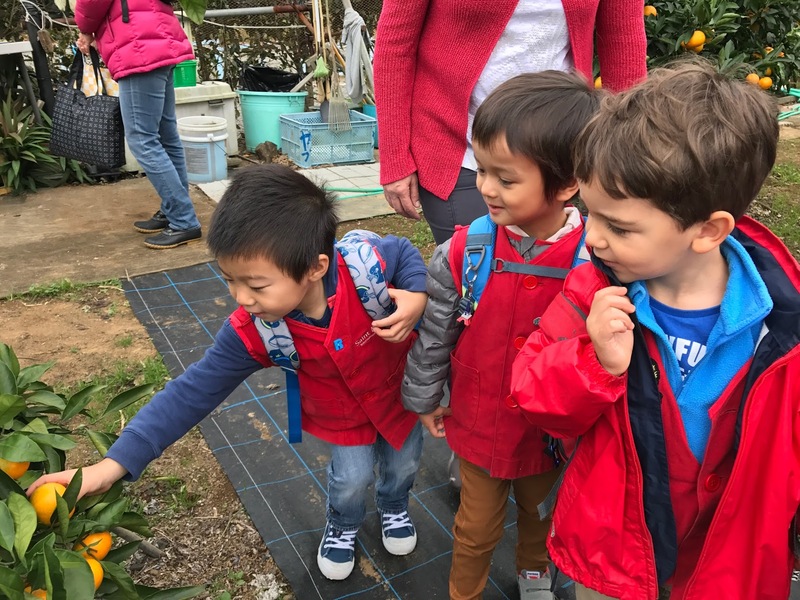 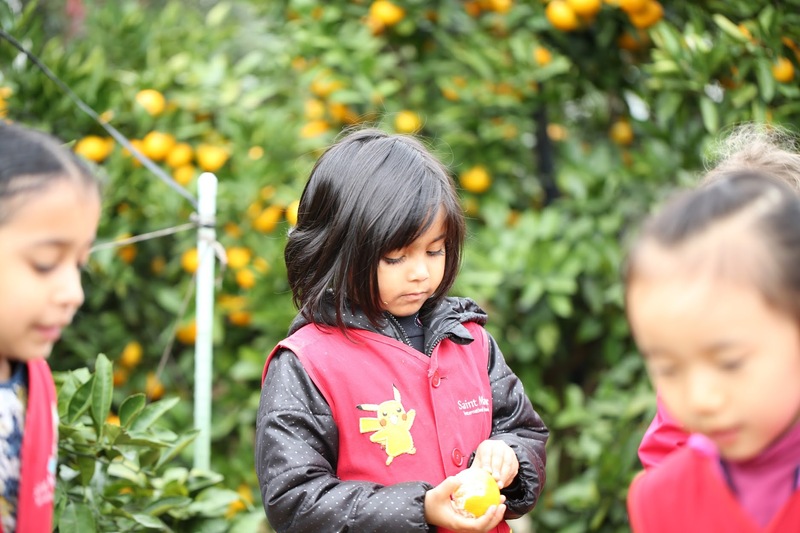 Now while the 4-6 year olds were out picking delicious mandarins, the 2 1/2- 3 year olds were having their own fun back at school. 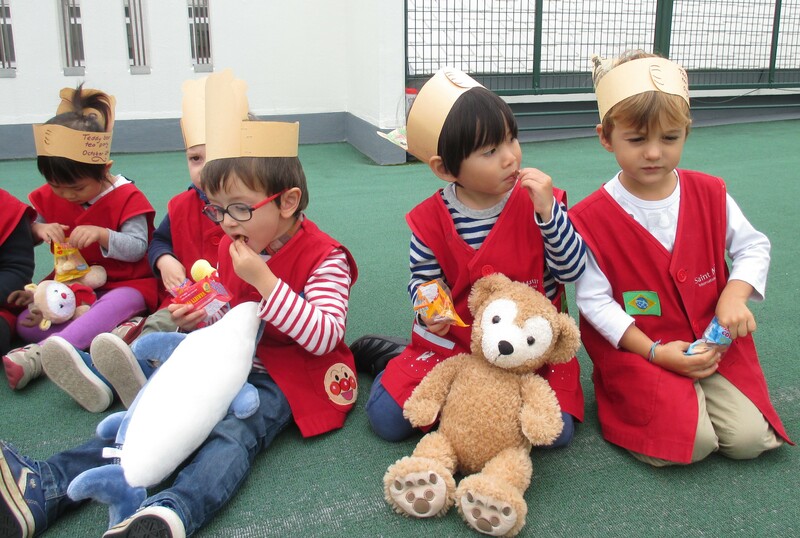 Each child was asked to bring either their favourite teddy bear or a soft toy to join them at the the Teddy bears tea party. 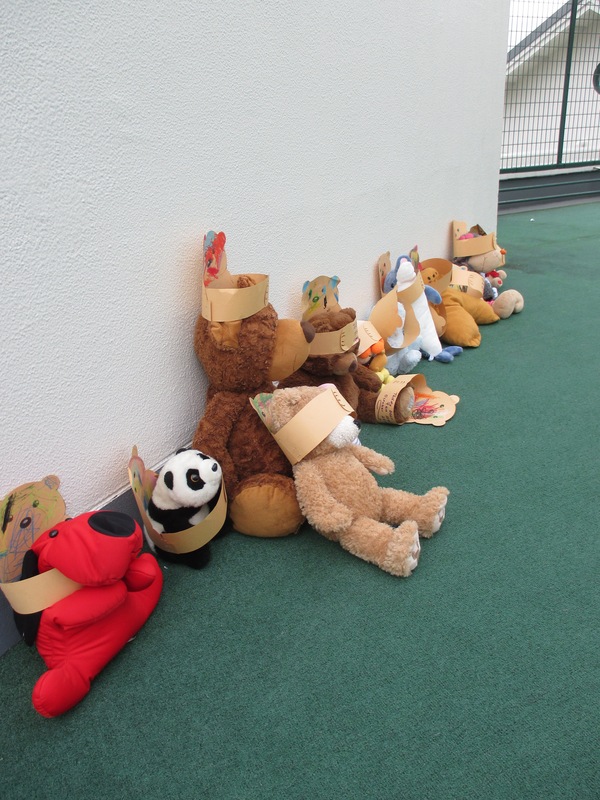 Have a look and see all the different bears and toys who joined us for the tea party up on our roof playground. 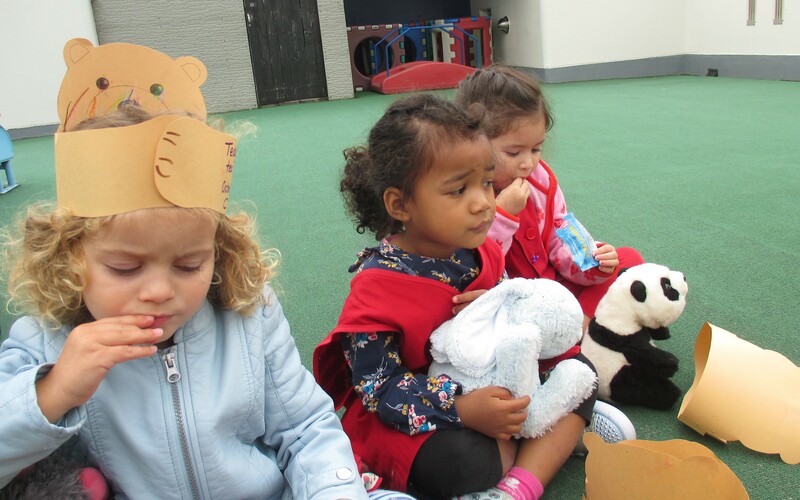 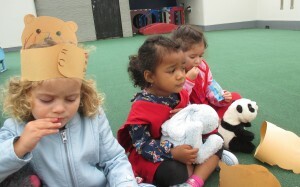 We wore our teddy bear bands on our heads to get into the mood and enjoyed eating some teddy bear shaped cookies together. 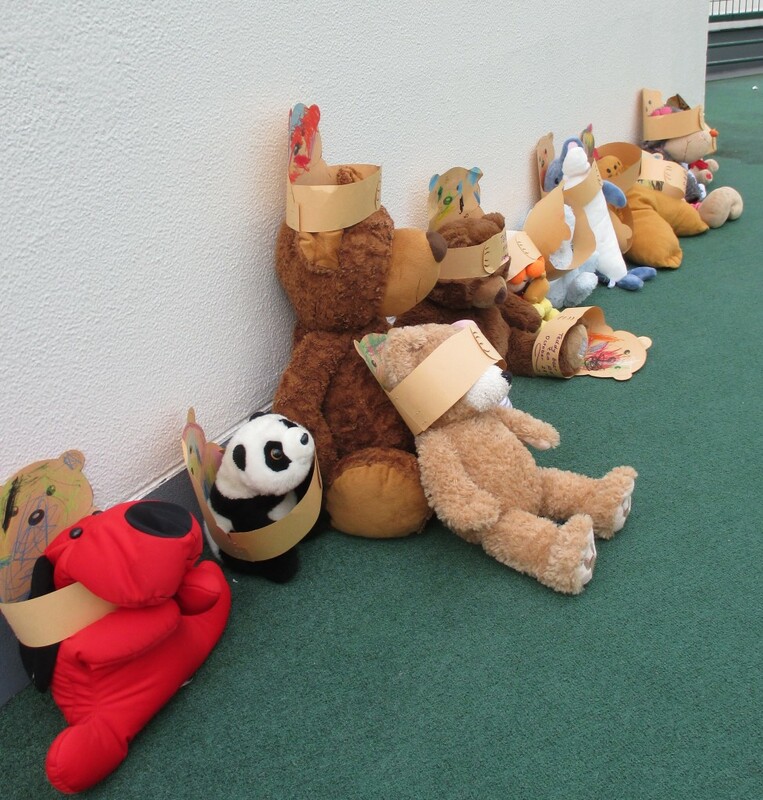 It seems that the bears and toys enjoyed their day with us!